If financial conditions do not permit you to invest in a new Allen Organ with its ten-year parts warranty, we suggest a Certified Pre-Owned Allen. Unlike most available used organs, parts are stored at the factory for any Allen Digital Organ model ever produced. Music Empoium also stocks service kits for fast repair of most Allen models. When available, we will feature select Certified Pre-Owned Allen Organs, along with other used organs, below. 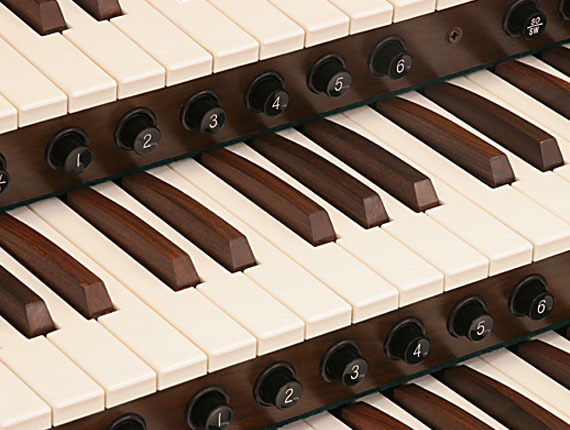 Used Allen Organs are in high demand, and we often know of used Allens arrival months before their delivery. We recommend you contact us to have your name placed on our waiting list to be notified as organs become available.